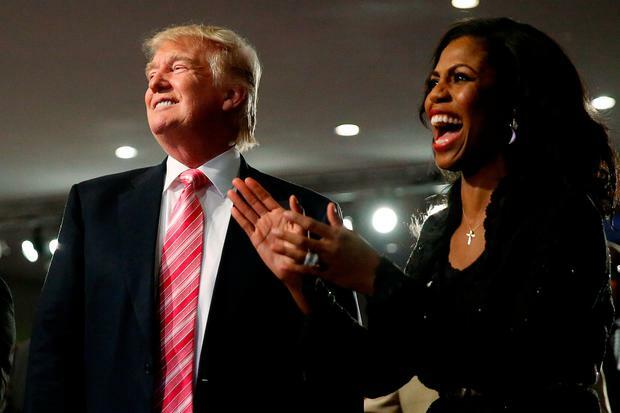 US President Donald Trump yesterday said he kept former White House aide Omarosa Manigault Newman on staff because she praised him even as she failed to do her job, the latest insult in the two former reality television stars’ public battle. Mr Trump said the former ‘The Apprentice’ contestant had begged for a job in the White House but was hated by others, missed work and was “nasty”. Still, he said he directed his chief of staff, John Kelly, to try to smooth things over with her. “When Gen. Kelly came on board he told me she was a loser & nothing but problems. I told him to try working it out, if possible, because she only said GREAT things about me – until she got fired!” he wrote in a series of posts on Twitter. Ahead of today’s release of her book ‘Unhinged’, which describes her time in the White House, Omarosa – known commonly by her first name – has released recordings of conversations she had with Mr Kelly and Mr Trump when she was fired in December. The White House said the recordings raise questions about her integrity. Spokeswoman Sarah Sanders on Sunday also said the recordings, including one in the White House’s secure Situation Room, showed “a blatant disregard for our national security”. She was previously best known for repeatedly being fired on NBC’s ‘The Apprentice’ and was one of Mr Trump’s more visible African-American supporters during his 2016 election campaign. “It’s sad that with all the things that’s going on in the country that he would take time out to insult me and to insult my intelligence,” she told MSNBC in reaction to Mr Trump’s tweets. 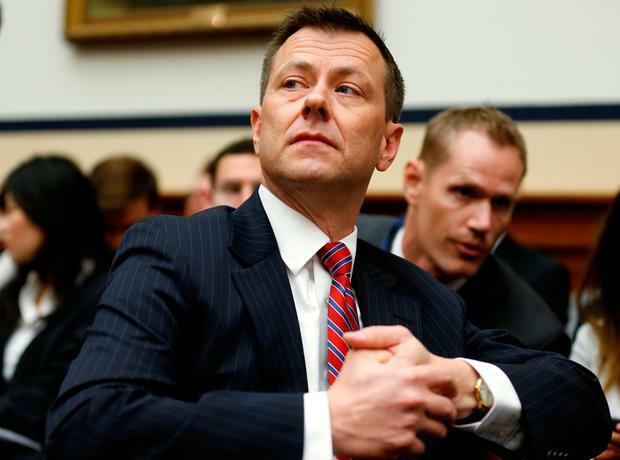 The row comes as Peter Strzok, the FBI agent who came under fire by Republicans for sending text messages that disparaged Mr Trump during the presidential campaign, was dismissed from the bureau late on Friday, his attorney said yesterday. Mr Strzok is the third high-ranking person to be fired from the FBI during the Trump administration, including former director James Comey. Aitan Goelman, Mr Strzok’s attorney, said in a statement that FBI deputy director David Bowdich made the decision to terminate his client. The decision, Mr Goelman added, was at odds with a recommendation by the FBI’s Office of Professional Responsibility, which had called for Mr Strzok to face a 60-day suspension and demotion from his supervisory responsibilities. “The decision to fire special agent Strzok is not only a departure from typical Bureau practice, but also contradicts director Wray’s testimony to Congress and his assurances that the FBI intended to follow its regular process in this and all personnel matters,” Mr Goelman said. Mr Goelman said that his client’s firing was politically motivated and that his texts represented political speech protected by the First Amendment. Mr Comey was fired by Mr Trump in May 2017 after Deputy Attorney General Rod Rosenstein helped pen a memo that was critical of how Mr Comey handled the FBI’s probe into Hillary Clinton’s use of a private email server. Later, however, Mr Trump claimed he fired Mr Comey over that “Russia thing”, apparently referring to the FBI probe into whether his presidential campaign colluded with Russia. Mr Trump has repeatedly denied any collusion. Mr Strzok was deeply involved in the FBI’s Clinton email investigation and was temporarily assigned to Special Counsel Robert Mueller’s office. He was removed from that post after his texts came to light. Republicans in Congress have repeatedly pointed to the texts as evidence the FBI is biased against Mr Trump.